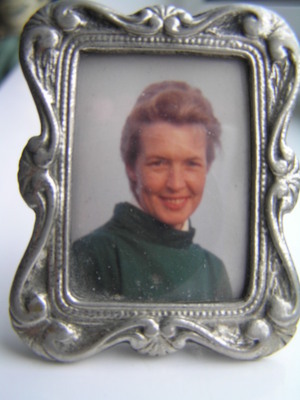 Today is Mothering Sunday - always the 4th Sunday in Lent, which I know for most of the world is not on the same day as the UK, but I would just like to send my love to my lovely Mum. 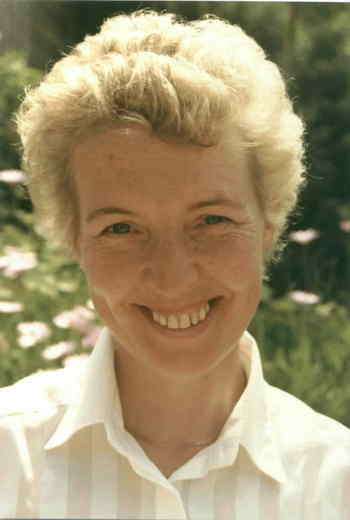 This is my favourite photo of her taken in June 1988 when Anth and I had just returned from New Zealand. It's quite a typical picture of her - always quick to laugh. She has had the most terrible health problems over the last 5 years, but she always remains upbeat whilst having to deal with the practicalities of her illness on a daily basis. Actually overreacting seems to be a trait that I have inherited and Lucy thinks she might have too! I am very jumpy and am prone to shrieking in fright! Next weekend is Alice's 11th birthday and Mum and Robin are coming to stay..we are going ten-pin bowling something I have yet to see her do - no doubt I will have something funny to tell so watch this space.. I almost forgot to share my own special day! I was woken by Alice with a cup of tea and a gift bag which contained 2 wonderful brooches, a fridge magnet and a lovely poem (slightly quoting Coldplay though I pretended not to notice!). 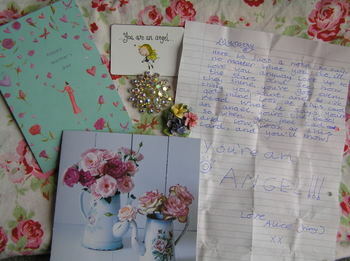 Lucy gave me a lovely card with vintage enamel jugs (so me) and my favourite Lindt chocolates. Tom gave me a lovely card that had lovely words that he had written (a big deal for a 15 year old boy!) 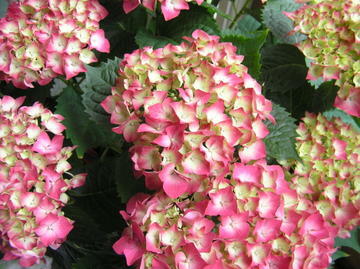 and a Hydrangea plant which I love. Am I not a blessed Mummy!